REDONDO BEACH, Calif., Feb. 4, 2009 -- Cryocooler technology developed by Northrop Grumman Corporation (NYSE:NOC) will enable significant improvements in data collection by the next generation of astrophysics missions, such as the International X-ray Observatory (IXO). Cryocoolers are used to reduce thermal noise in space-borne sensors. An image accompanying this release is available at http://media.primezone.com/noc . During tests taking place over the last few months, a hybrid pulse tube Joule-Thomson cryocooler using the company's long-life, high reliability heritage flight hardware achieved cooling levels to 4.4 Kelvin (-451.75 F). The tests were conducted as part of a company-funded independent research and development project. "This achievement is very significant for future space science programs because it enables advanced sensors to collect data at new wavelengths and with higher accuracy, extending the range of scientific opportunities," said Mark Folkman, director of Sensors and Phenomenology for Northrop Grumman Aerospace Systems sector. "Cooling sensors to this level reduces thermal noise in the detectors and associated electronics, allowing the sensors to operate with more sensitivity and efficiency." Northrop Grumman's flight-proven cryocooler hardware consisted of a 3-stage pulse tube cooler that utilized high-pressure helium gas. This multi-stage approach enables efficient cooling of optics and system components and also makes it possible for another cooling element of the hardware to operate between 4 K and very low 50mK temperatures. Cooling to very low cryogenic temperatures enables x-ray, infrared, microwave and gamma ray sensors to provide more and better astronomical data. "We've progressed beyond the 6K cooling point engineered for the Mid-Infrared Instrument (MIRI) on the James Webb Space Telescope," noted Jeff Raab, manager of Cryocooler Systems for Northrop Grumman Aerospace Systems sector. "We expect further work to extend cooling capabilities down to 2K, using this flight-proven technology that can enable mission life exceeding 10 years." Since 1998, 12 of the 13 U.S.-manufactured long-life pulse tube or Stirling cryocoolers in space have been built by Northrop Grumman. None has failed or changed performance in orbit. 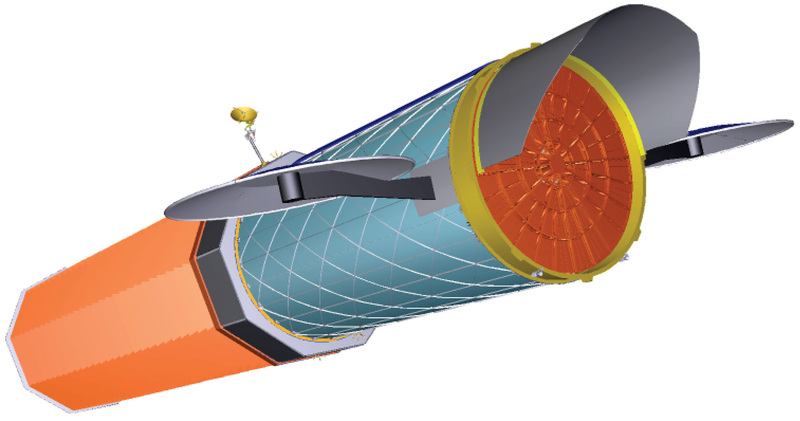 Near-term and future science missions that could benefit from these cryocooler technology advancements include the International X-ray Observatory (IXO), a mission to study the high-energy universe in more detail than ever before. Other potential missions include The Single Aperture Far-Infrared Observatory, (SAFIR) and the Terrestrial Planet Finder (TPF). Similar higher temperature cryocoolers were recently delivered for the Geostationary Operational Environmental Satellite-R Series (GOES-R).